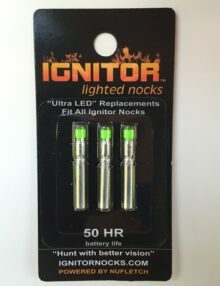 3 Pack Refill – Ultra LED Lightsticks, Compatible with all Ignitor Lighted Nocks (Vertical Bow, Crossbow & Bowfishing). Available in Green & Red. 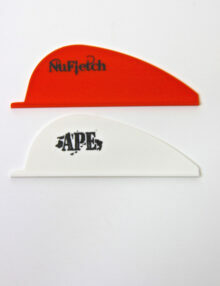 1.7″ Fusion Vanes made specifically for APE Arrow Tail products. 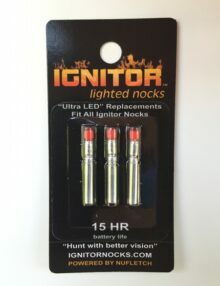 Available in packages of 36 count. 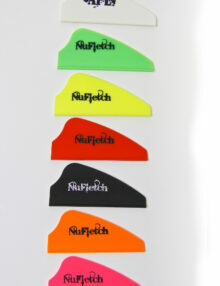 Colors to choose from are orange, white, red, yellow, green, pink, and black. Replacement Cross Bolt Vanes designed exclusively for APE XBolts. Available in packages of 36. Colors to choose from are Red and White.